The Regent 6ft Ottoman Storage Divan Bed Base in Brown Damask Fabric is designed to bring a soft and stylish look to your bedroom. This bed base will look good in any bedroom while disguising itself as a regular divan base. 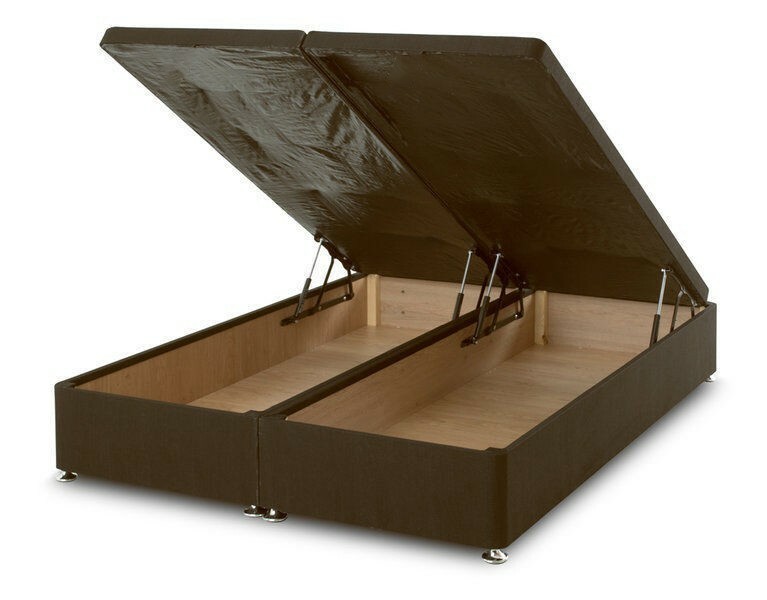 This storage base lifts up, (with the assistance of hydraulic gas struts), to reveal an abundance of space which can be used to tidy away clothes, extra bedding and any clutter that may be taking up unnecessary space. The base lid can be easily lifted with finger slots, whilst your mattress stays securely in place on the top. Complete with castors.